so I thought I'd do a quick blog on my April GLOSSYBOX. one of my favourite parcels I recieve every month. So this month GLOSSYBOX teamed up with Pearl Lowe (waaah, so jealous) and created a vintage beauty box. The box itself was beautiful never mind the little treats inside. dry skin fix body butter in pistachio sundae. this little beauty smells delish! and has left my skin feeling super smooth. just apply to your skin after showering or bathing. this is gorgeous and really works wonders. you can apply the pencil to your eyes, lips and brows. I love the design of this product, it's so me. I don't normally use hand products to be honest but when you recieve them your going to try them. I must admit that this is really good I usually hate the feeling of a cloggy moisturizer on my hands but this didn't feel like that just left my hands feeling soft with a light fragrance, very satisfied indeed. I haven't tested this product yet but I adore the colour it's sort of like a sky blue/light lilac mix. I just hope that it doesn't chip easily or peel as this easily annoys me with nail polishes. you can purchase from both drug stores. apply to your inner wrists, elbows, under the ear lobe & on the neck. & I've loved all of the products that came inside it. Wow you received some great products especially the perfume and Essie bikini so teeny. 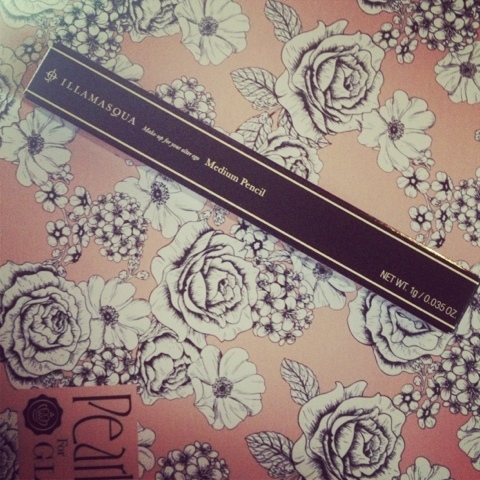 I love that shade it's on my list to pick up soon. 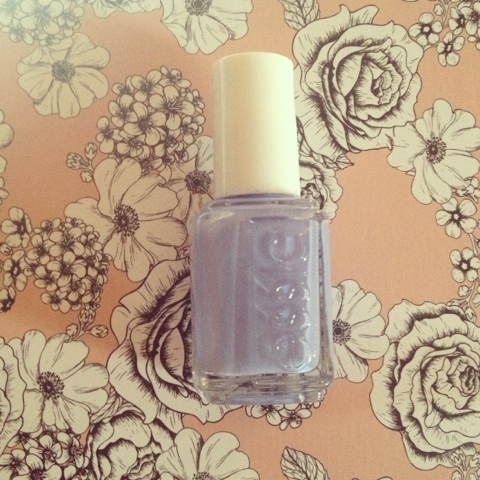 I posted about my essie collection on my blog, if you want to take a look. The box look so nice! Like a vintage style ^^. I'm your new follower. Hehe. I loved the design of the box this month, anything vintage or quirky. 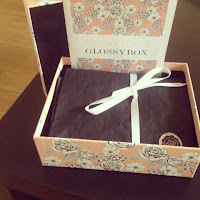 I totally love all the products you got in your glossybox. super cute. 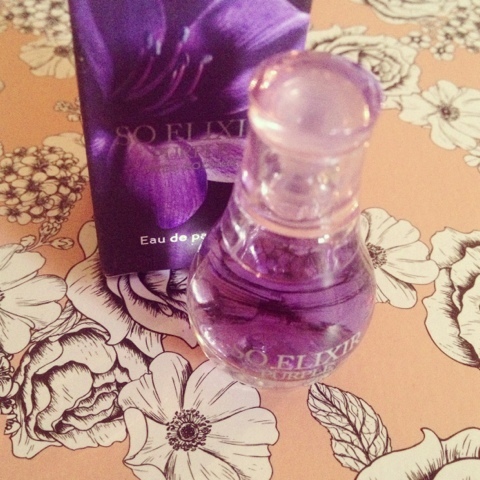 i adore little perfume bottles. Plus I love the fact that it's a surprise every month, so you never know what you're going to recieve. 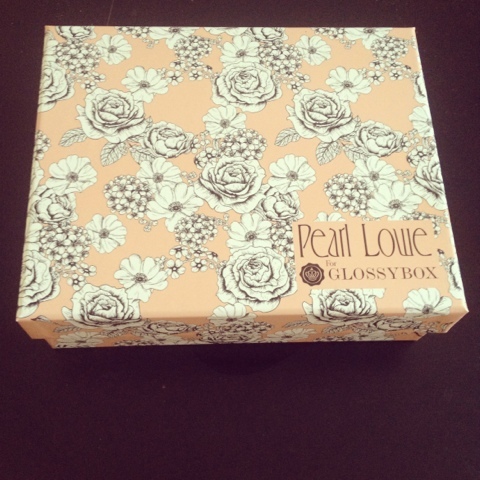 I just signed up for Glossy Box :) This month's looks so amazing.. 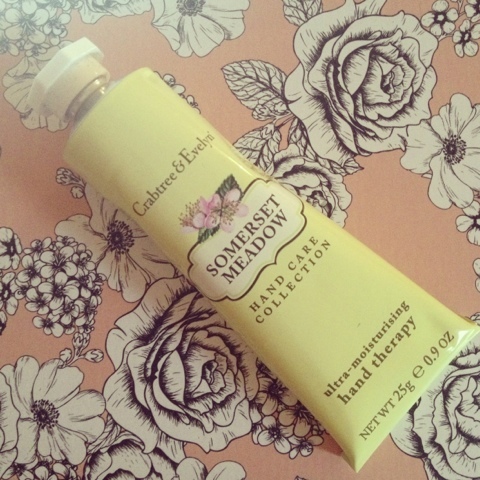 I am actually obsessed with crabtree & evelyn hand creams! ahh lovely :) hope you enjoy your first glossybox experience. 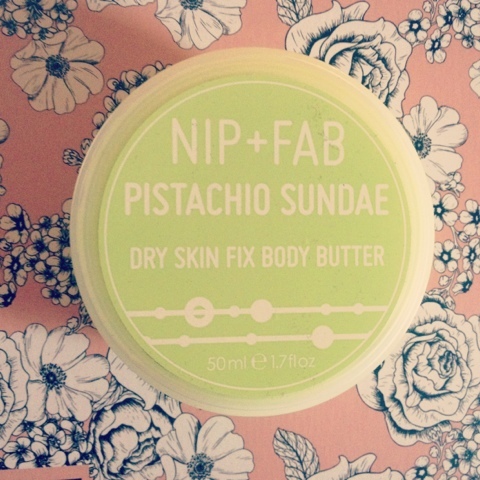 I love the vintage design and it actually does the job unlike most hand creams.